We provide all Stober Helical Gearboxes such as Stober Helical Bevel Gear Motors, Stober Helical Worm Geared Motors, Stober Planetary Geared Motors and Stober Rack and Pinion Drives. In this design, large angled pinions with circular perforations. 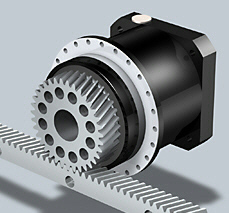 Purchase your Stober ZR-PH(A) Rack and Pinion Drive today!